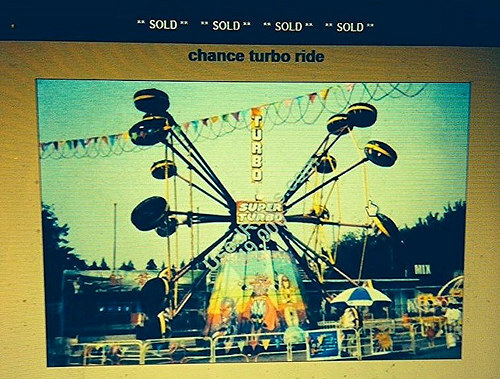 This week, ATZ learned that Playland Vancouver will re-sell the rare 1970’s Turbo ride purchased last year from China via usedrides.com instead of having it refurbished as planned. Last November ATZ had the scoop on the acquisition of the legendary and surreal-looking amusement ride by Canada’s oldest park, which hosts the Pacific National Exhibition (PNE). The news galvanized the 700-plus members of the Turbo Amusement Ride Fan Club, who are ready to plan their vacations and travel to distant places for the ride’s comeback. Why did the PNE change their plans? The Turbo, which was brought to China from Australia a decade ago, was shipped to Chance’s factory in Wichita, Kansas. A spokesman for the manufacturer said Chance will not go ahead with any work on the ride until the PNE has sold it to a new owner. As ATZ reported previously, this Turbo is expected to get a re-do rather than a restoration. Chance and the PNE had agreed to “a full make over in line with today’s strict safety standards” and “new open style tubs limiting 2 passengers per arm to make this ride more modern,” much to the dismay of Turbo aficionados, many of whom were born too late to have experienced the unique thrill of the ride. A total of 23 Turbos were manufactured by Chance Rides from 1970 through 1976, and none are currently in operation. 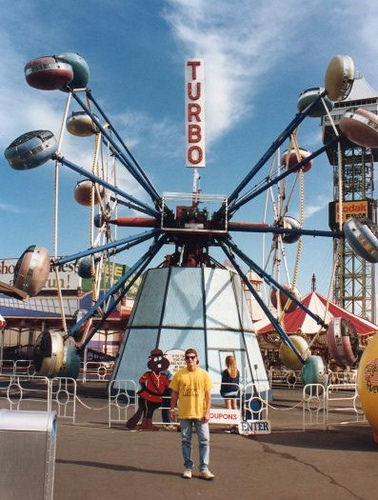 The Turbo Amusement Ride Fan Club’s hopes are now pinned on the two Turbos being restored as labors of love by independent ride operators Jerry Baque of Classic Rides Amusements in California and Elwin Bell of Bell’s Amusements in Australia.